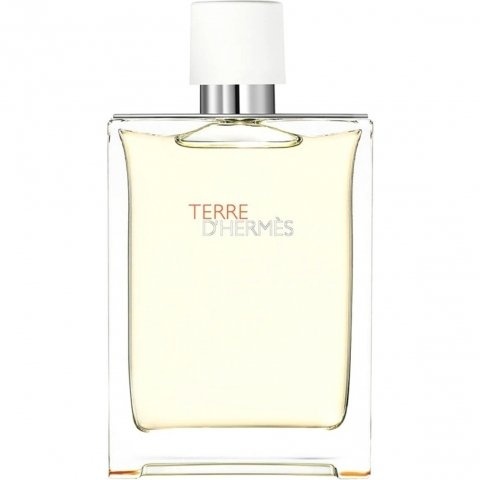 Terre d'Hermès Eau Très Fraîche is a popular perfume by Hermès for men and was released in 2014. The scent is fresh-citrusy. It is still in production. I wanted to like him, even learn to love him, because I was so taken with his top note. So nice fresh and orange, I thought that would be excellent for warm days. Had tested it at that time on a paper strip and also here it changed like few smells on it and I realized that I had to test it extensively, because it was already there we say times difficult. I am honestly no friend of the normal Hermes, in my statement at that time I compared him so with the bio-teacher without devaluing this to mean, but in my direction he does not go and all the more surprised I was then at the first time smell of the Tre Fraiche. I really liked the kick of the fresh notes and the slightly aquatic and so he got on my skin. And then this wonderful initial smell hit me in the back with a knife. I'm having a hard time with some flowery notes anyway, but if that's the rose geranium that comes out then it's one from hell. So terribly intrusive that I get a headache and so penetrating that it became really unpleasant. Needless to say, the freshness was also completely beaten up and somewhere remained unconscious on the track. Out back, when the Flower of Death has run riot, it even gets nice and soft again, probably that's the Patchouli as bouncer together with his woody buddies who make it better. Conclusion: From the front pointed, from behind pleasant, in the middle rages a rose war and indeed too long, than that I could bear it. Too nice, smooth yet not criminal. How are there no reviews for this yet? If you are no fan of the original then give this baby a try, the flint is not in sight and the spiciness is toned down and the orange-ness is awesome! So cool and perfect for HOT weather. Not snobby and not gutter either, you'll notice nostrils flaring trying to take this in. My current go-to citrus and one of Ellena's finer works for sure. I'm quite surprised no one has mentioned how rosy it is! Opens with a mouthwatering natural orange which gets envolved by a nice woody base. Somehow very distinct from the OG but really pleasuring.